There aren’t many other places in the Philippines that are better to golf in than Batangas City with it’s cool weather and scenic landscapes. 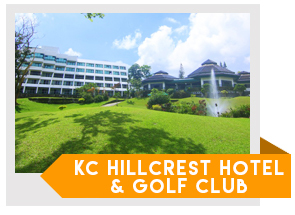 The all-weather KC Hillcrest Hotel and Golf Club is made up of tight fairways, deep ravines, and steep hills to give golfers an unforgettable experience on this championship course. With a covering of Tifton and Tidwarf grass that is guarded by big bunkers, this 18 hole par 72 course offers a smooth play for all golfers. The course has been rightfully nicknamed “The King” as it reflects the excellence of it’s legendary designer, Arnold Palmer. It is a challenging course that has attracted golf enthusiasts from around the world with its overlooking views of Nasugbu Beach, Mt. Batulao, and Caleruega Church to name a few. After a rigorous day of golf, guests can enjoy the the relaxing facilities including shower rooms, restaurants, and even lounges that offer massage treatments to keep all visitors feeling pampered. 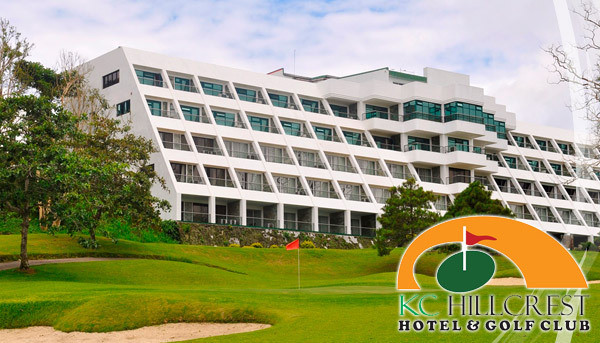 Tip for Tourists: You can still play at KC Hillcrest Hotel and Golf Club by booking directly with GolfPackages. Fill out the form to your right and get your free quote today.